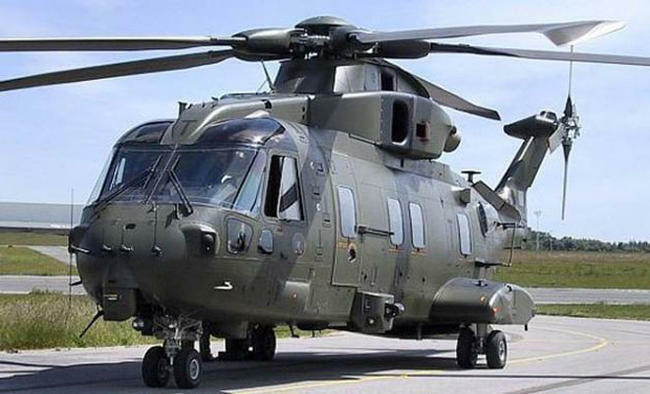 New Delhi: A court here on Wednesday allowed the Enforcement Directorate (ED) to quiz the director of a Dubai-based company till July 29 in the Rs 3,600-crore AgustaWestland VVIP chopper case. Shivani Saxena, wife of Rajeev Shamsher Bahadur Saxena, a resident of Palm Jumeirah in Dubai, appeared before Special Judge Arvind Kumar after the expiry of her five-day ED custody.The court extended the custody by another three days. She was arrested on July 17. While seeking extension of custody, Public Prosecutor Navin Matta told the court that her custody was required to unearth the money trail.Prosecutor Matta further told the court that the accused was also required to be confronted with certain documents.Defence counsel opposed the plea on the grounds of her deteriorated medical condition. "Shivani and her husband Rajeev are partners and directors in Dubai-based companies UHY Saxena and Matrix Holdings Ltd, through which proceeds of crime were routed and used in buying the immovable properties and shares," the ED said.The two Dubai-based companies received the proceeds of crime in their respective Dubai bank accounts from a Mauritius-based company, Interstellar Technologies Ltd, the agency had said in a statement. Evidence collected by the ED has revealed that the UK-based AgustaWestland International Ltd paid 58 million euro as kickbacks through Tunisia-based Gordian Services Sarl and IDS Sarl.These companies siphoned off the money in the name of consultancy contracts to Interstellar Technologies Ltd and others, and these funds were further transferred to UHY Saxena and Matrix Holdings Ltd and others, the statement said. An ED official said Saxena and her husband remitted a huge amount of money through their companies in Dubai to various other accounts.This is the second arrest made by the Directorate in the case. In 2014, the agency had arrested lawyer Gautam Khaitan for his alleged role in routing the kickbacks in the purchase of 12 AW-101 VVIP helicopters. The ED is probing the case under the Prevention of Money Laundering Act.The case is based on the investigation being conducted by the Central Bureau of Investigation, which had also arrested former Air Chief S.P. Tyagi and two others in connection with the case in 2016.